February | 2008 | The S.E.E.P. Environmental Toxicology: Unsafe toys, lipstick, water bottles, pesticides and more! This is part of a grant proposal that we are writing through ECOSLO to start an environmental health education program in our community. It truly is frightening what we are being exposed to on a daily basis. In our modern industrialized society, on a daily basis we are exposed to countless chemicals, toxins, and carcinogens in the form of fumes, preservatives, pesticides, fertilizers, waste runoff, and residues. Some of these substances have been proven to be harmful, some of them are speculated to be harmful, and for many of them, we have no idea as to their potential impact on our health. Even though we are certain of many of these health effects, the offending chemicals are still in our everyday foods, packaging, toys, household cleaners and many other products. It is of paramount importance that we educate consumers on what is safe, what is dangerous and why, and continue to support research into the effects of other potentially harmful substances. A more difficult subject to tackle is the additive effects of what we are exposed to, combinations of heavy metals, multiple hormone-modulating chemicals, or chronic, long-term exposure to materials that we are told are safe at low levels. While educating consumers is important, educating healthcare professionals is important as well. The same way we are supposed to educate our patients on the dangers of smoking and obesity, we need to be educating our patients on the myriad of issues involving environmental health, both known and potential. Preventative medicine has been proven to be the least expensive and most effective way to counter many disease processes, and our hope is to prevent a portion of the morbidity and mortality that is occurring and will occur from human exposure to chemicals from our industrialized society. The more publicized exposures include lead-based paint in children’s toys, lead leeching from dishes, phalates and bisphenols leeching from plastics, organophosphate poisoning from pesticides, and perchlorate contamination in many foods. Lead and other heavy metals are known to cause developmental delay, hyperactivity, and various other neurologic problems and can commonly found in old paints, many lipsticks, and more recently contaminating children’s toys. Phalates are plasticizers found in a wide range of consumer goods including pesticides, perfumes, nail polish adhesives, caulk, baby care products, and medical tubing and has been correlated with hormonal changes linked to decreased sperm counts, changes in genital anatomy in boys, and is possibly linked to resistance to insulin and the development of Type II diabetes. Bisphenols are used in the production of polycarbonate plastic and is found in the lining of canned foods, water bottles (including the commonly used Nalgene bottles with recycling symbol #7), and a large percentage of plastic food containers. They have been found to mimic estrogen and disrupt hormones, causing decreased sperm counts, carcinogenic effects during development, as well as a link to increased risk of breast cancer. Organophosphates are pesticides that block acetylcholinesterase, disrupting nerve conduction and also make up the active ingredients in Sarin and VX nerve gas. Although they degrade fairly quickly in the environment, they are one of the most common causes of poisoning worldwide and can potentially effect brain development even at low levels. Perchlorates are salts that are used in rocket fuel and fertilizers and has been found to contaminate up to 1/3 of American produce and milk. It interferes with iodide uptake in the thyroid gland, thereby causing hypothyroidism (low thyroid functioning). While more research is necessary to support and confirm some of these correlations, and a significant amount of work has yet to be done to uncover the health effects of other chemicals, what we can do now, on local, regional, and national levels, is to educate consumers of the known and potential problems with exposure to these substances in our homes and daily lives. Through outreach to local hospitals, physicians’ offices, nurses, and other healthcare professionals, we hope to decrease the exposure risk to our community. We hope to integrate environmental health into a comprehensive preventative health system that can save billions of healthcare dollars per year and lead to significantly decreased morbidity and improved lives for our citizens. As a secondary benefit to this education, decreasing the use of toxic pesticides, chemicals, and plastics, will also decrease the amount of toxins released into the environment in the manufacture of these goods, decrease landfill waste, and encourage sustainable and organic farming, which as been recently shown to provide food using 20% less energy and with significantly more vitamins and antioxidants. Australia’s national science agency, the Commonwealth Scientific and Industrial Research Organization (CSIRO), along with Monash University have taken cellulosic ethanol to another level. 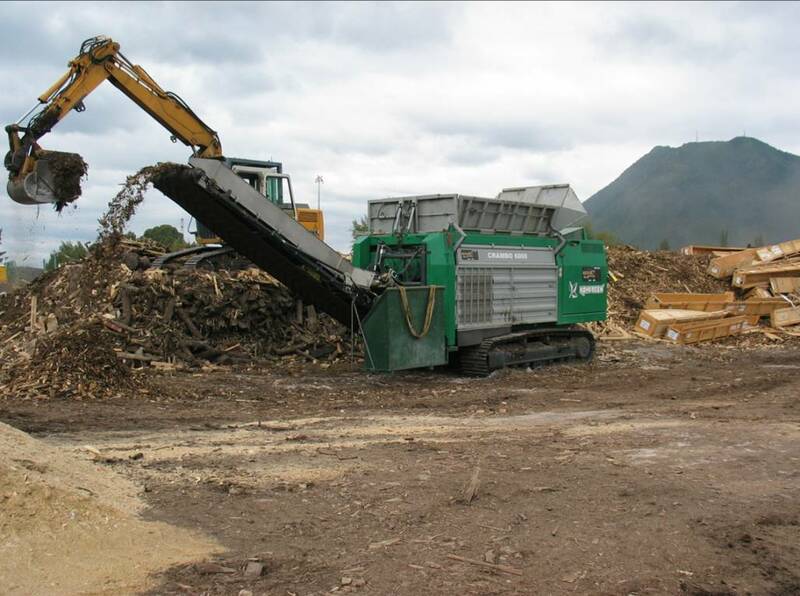 Using agricultural waste, forest thinnings, waste paper, and anything else with lignocellulose, they are able to make bio-crude, similar to a renewable “light and sweet” crude petroleum which can then be further refined into ethanol, bioplastics, and other uses. They smartly propose local processing plants to use regional waste, thereby closing the loop on a good deal of what would otherwise go to landfill. OK U.S.A., while we’re still half-ignoring the issue being the ONLY industrialized nation not to ratify the Kyoto Protocol (Australia and Iraq recently caved), other nations are using public funds to research and develop innovative, clean technologies to take them into the fossil fuel free, sustainable future. This is what we could be doing with the billions of dollars of subsidies going to the oil companies that are making record profits by exploiting us both as taxpayers and consumers. Write your congresspeople to kill oil subsidies and support renewable energy research! Could Perepiteia Perpetual Motion Machine Be The Real Deal? The legendary perpetual motion machine. The Holy Grail of energy inventions. It violates the very laws of physics and contradicts the conservation of energy theory of the universe. If it could be made to work and harness that power, the world’s energy crisis would be over within a few decades. Well, a gentleman by the name of Thane Heins, working with engineers at the University of Ottawa, demonstrated what seems to be one such machine, generating 5 amps or so off of a small generator setup. If this actually works as described, Mr. Heins may have revolutionized the production of energy as we know it. Imagine every home having their own perpetual motion generator, power bills, no CO2 emissions, and clean energy for everyone! This is where our research dollars should be going, no more multi-billion dollar subsidies to oil companies to continue destroying our environment, lets push our representatives to put money where it will do us all good, not just a few corporations that are already making ridiculous profits. The X-Prize foundation, the same folks who organized the competition for consumer spaceflight technology, is ponying up another multi-million dollar prize for the team that can produce the best consumer car that gets more than 100mpg. Although this isn’t new news, it is interesting to see that every single major U.S. automaker, those with the most R & D money, the most to gain, and the most to lose, are conspicuously absent from the competition. Exciting startups like Aptera, with their 300+mpg plug-in hybrid, and both Tesla and Zap! Automotive, with their 250 miles per charge electric cars, have thrown their hats in the ring along with 30 or so other competitors. Not only do consumers want more efficient cars, but with peak oil just around the corner and the current state of climate change, we NEED more efficient modes of transportation that use minimal or no fossil fuels. The U.S. carmakers have shown their loyalty to the oil companies time and time again by fighting improved efficiency standards and continuing to make cars bigger and less efficient. It is indeed sad that the once great American auto industry has fallen so far, but they have and continue to dig their own graves. We can only hope that our government and our people will have the foresight to support these burgeoning clean energy and clean vehicle industries. We can rebuild some of the lost American manufacturing empire, stimulate the economy, and keep jobs in our country.